South Korean electronics giant, LG has released a new teaser for its upcoming flagship phablet, the LG V40 ThinQ. This announcement comes just days before the official launch event scheduled for October 3 in New York, which will be followed by a Seoul launch the next day. The teaser confirms most of the leaks that the LG V40 ThinkQ will sport a triple lens camera sensors at the back and two on the front. 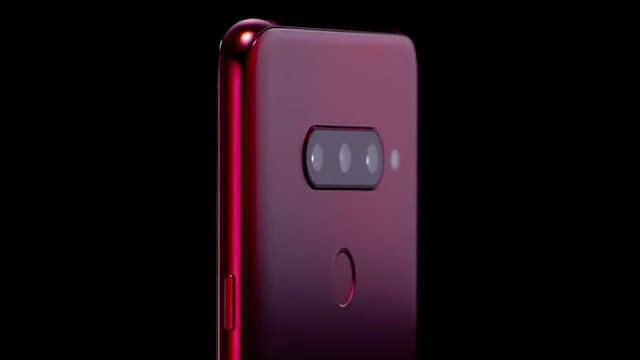 According to the teaser, the LG V40 ThinkQ will come with a rear finger print scanner and as well as five cameras. Though pricing and specs of the device haven't been made public by the South Korean giant, the company has confirmed that the device will sport a 6.4-inch display with no details on the resolution and ration. LG also confirmed that the device will be launched in Platinum Grey, Carmine Red and Moroccan Blue colour options. Leaks have suggested that the LG V40 ThinkQ triple camera setup will sport 20-megapixel, 16-megapixel and a 13-megapixel sensors. The two selfie cameras sensors will aid in bokeh shots and will also 3D face recognition. Other specifications that expected to be featured on the device are 6GB/ 8GB of RAM, a Qualcomm Snapdragon 845 SoC processor, a dedicated Google Assistant hardware button, LG's proprietary Quad DAC audio technology and should run on Android 9.0 Pie out-of-the-box. The LG V40 ThinkQ is expected to feature a notch similar to the LG G7 ThinkQ, but a superior 90% screen-to-body ratio.